← Friday night’s alright for drawing. 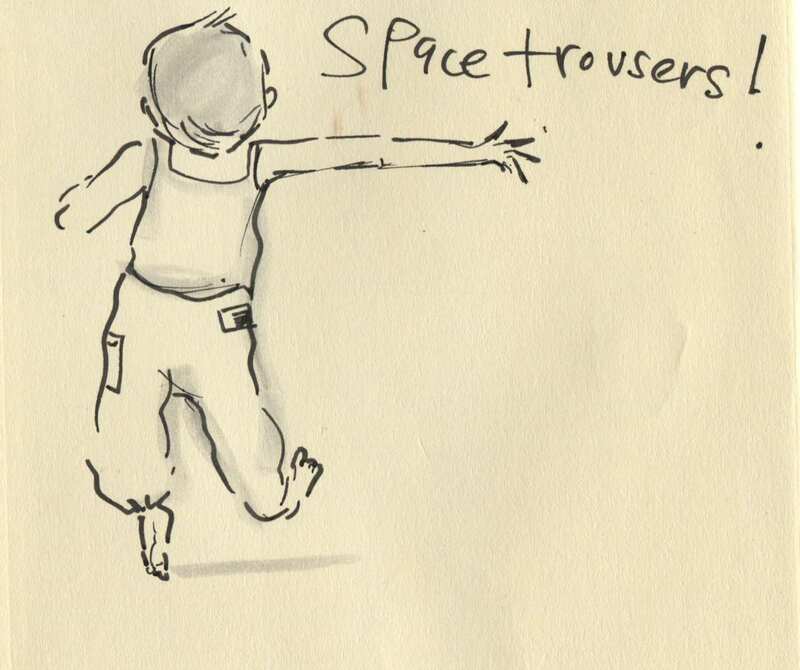 Posted on April 26, 2015, in Uncategorized and tagged Children, Doodlemum, Humour, Life, Pen and Ink, play, Sketchbook, space trousers. Bookmark the permalink. 4 Comments. So THAT’S why Nasa’s not been knocking at my door! Are they powered by methane?! Info in from NASA- he needs his stripy socks!